All of our firewood is sustainably sourced certified hardwood. 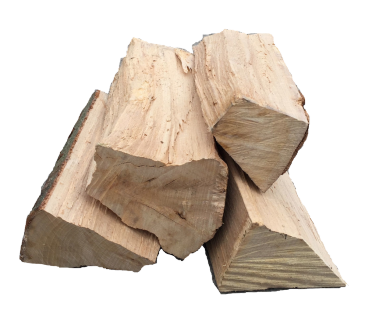 Our firewood is tested for low moisture content before being dispatched ensuring the firewood has a high calorific value with maximum heat output. This carbon-neutral process is critical to our environment. 100% of our products are Woodsure acredited and are certified as Ready to Burn. We deliver nationwide from our North Yorkshire base and we can do next-day delivery too. Just let us know your preferred delivery date, and we’ll work with you to make things as convenient for you as possible. We’re doing something right. 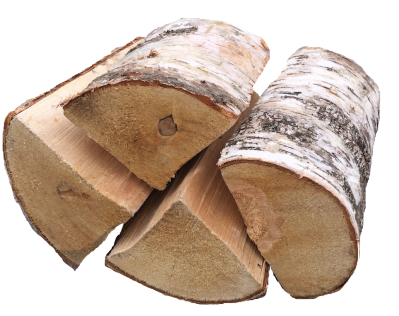 As the UK’s highest rated firewood supplier, we have an almost perfect 5-star rating from over 3000 company and product reviews. Excellent customer service is something we pride ourselves on and we work our socks off to give you a smooth, hassle-free experience. Any questions, we’re just a phone call away. 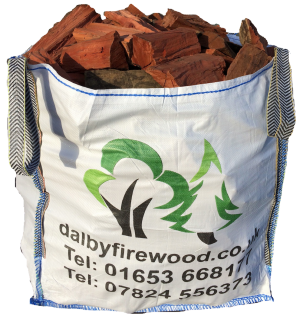 Large bulk bags containing 0.8m3 of loose volume firewood. Large crates containing 2.5 bulk bags, neatly and tightly stacked. 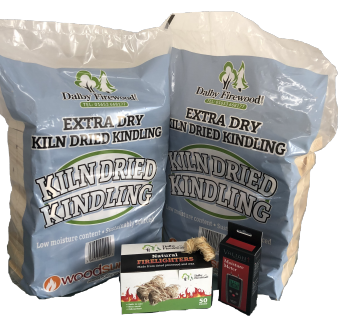 Smaller quantity handy carry bags of kiln dried firewood. 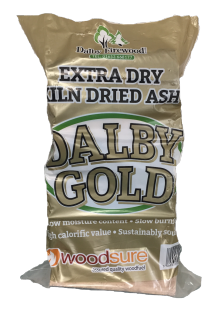 (Dalby Gold) Extra dry slow burning hardwood. Very good calorific value and burns with a lovely flame. 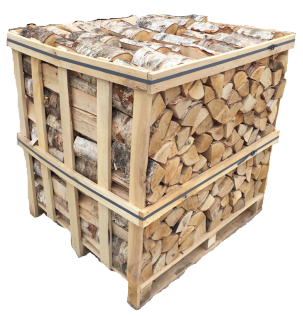 Brilliant all round firewood for cooking and heating. Looks like ash but burns slowly like oak. Very good calorific value and burns with a lovely flame. Very dense firewood. 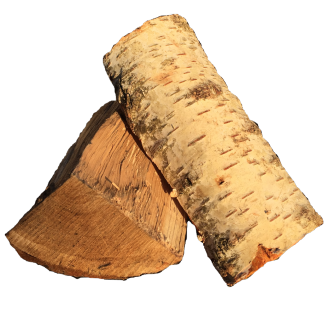 Silver birch bark is a natural firelighter. Burns hot and gets up to temperature quickly. 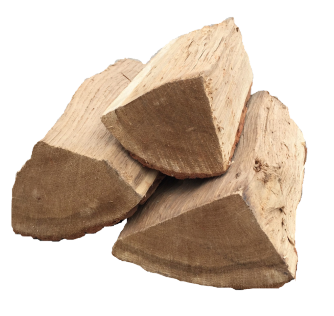 Has a faster burn time than other hardwoods if not controlled, so not really suitable for open fires. Great fuel for domestic pizza ovens as the bark gives off a wonderful aroma and taste. Burns very slow and very hot. Oak does not burn with much of a flame, but tends to smoulder. Difficult to light so its better mixed with other species. Brilliant for smoking food and keeping the fire in for long periods of time. A mixture of kiln dried oak and silver birch. This brilliant combination gives you ease of lighting with the birch, which also assists with the burning of the oak. 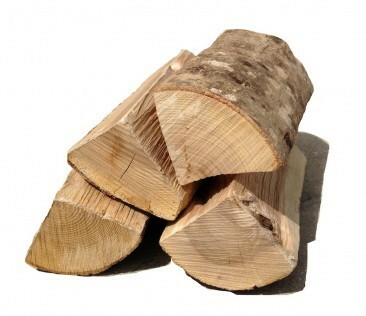 Mixed species of hardwood logs. We use mainly ash, beech, oak and birch. Choose between kiln dried or seasoned. Available in 25cm or 40cm lengths. 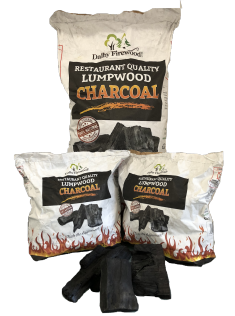 Huge chunks of lumpwood charcoal. This is the highest grade possible with all the small pieces filtered and rejected. Extra thin cut and extra dry. Essential for controllable heat in domestic pizza ovens. 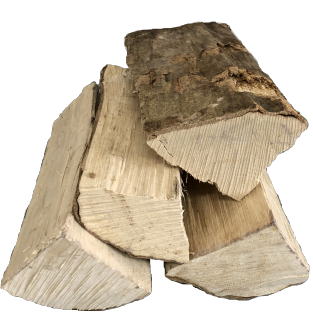 These thinner pieces of kiln dried hardwood are easy to light and maintain a constant heat. Kindling, firelighters & other accessories. 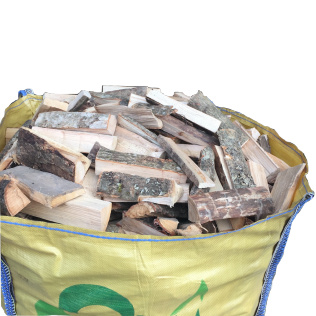 We deliver firewood to your address, whether you live locally in York, Hull, Scarborough, Malton, Pickering, Driffield, Whitby, Filey, Bridlington, Helmsley or Leeds, or anywhere else in the UK. We deliver regularly to London and the South East, Midlands, Scotland and everywhere in between. * FREE pallet and bulk bag deliveries nationwide. For details, enter your postcode on our Delivery page.